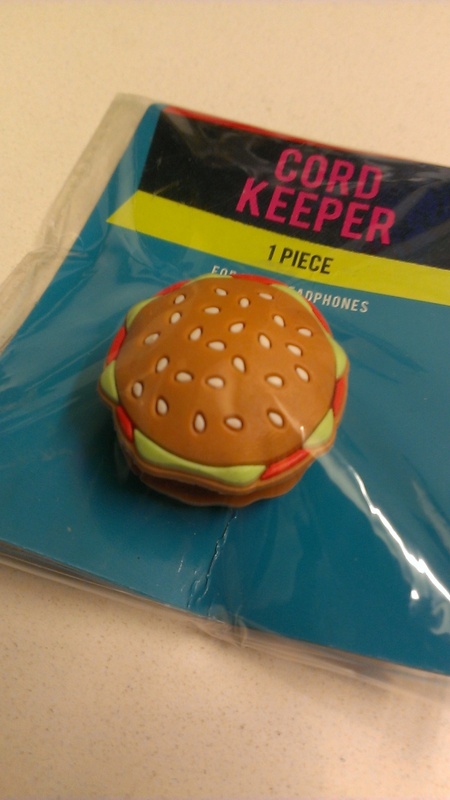 Keep your headphone cord nice and tidy when you’re not listening to burger music with this handy Hamburger shaped cord keeper. 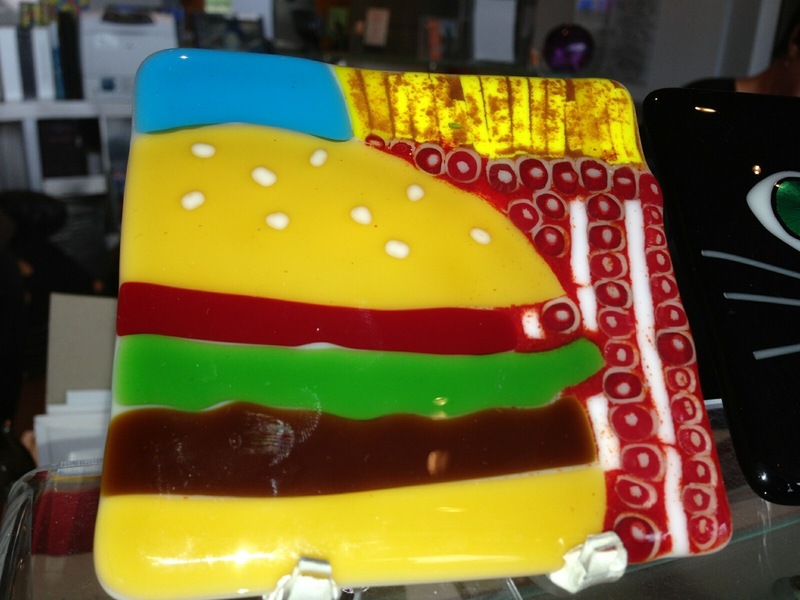 Cool glass hamburger themed coaster found by my mom at the Museum of Glass in Tacoma, WA. 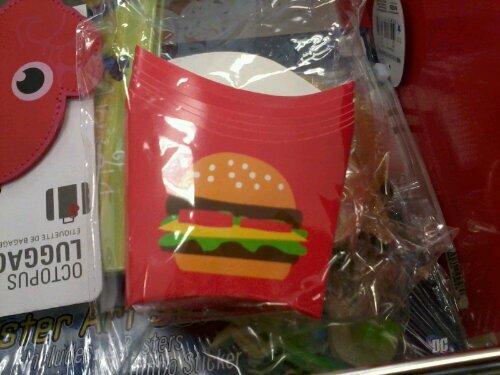 Found these Hamburger Sticky Notes at Target by Passport Collections. 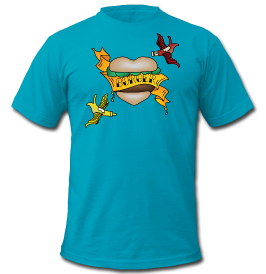 Warning, may cause hunger while writing notes. 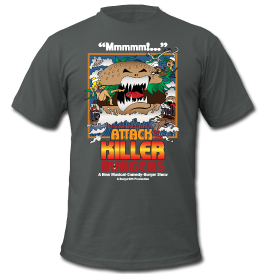 Found and sent in by my mom, this Burger Keyring makes a “Burrrrp” sound!